Do you enjoy your time in the swimming pool? How about an indoor one? 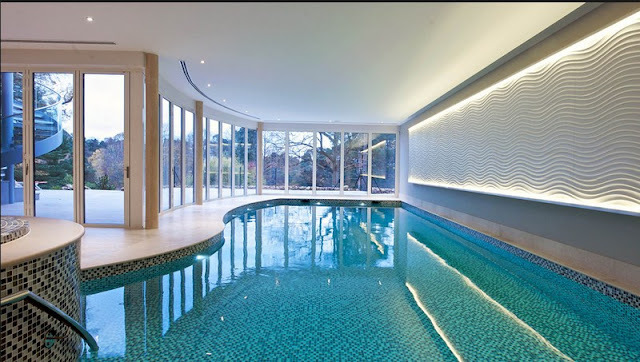 This pool design will make you envy because of their great design, it will be a lot of fun if you can spend some time in these kind of indoor swimming pool, relaxing around and try to dip into the water of the swimming pool. Isn’t it great when you’re swimming in the pool while you’re looking at the sky, you can look at the morning sky and look into the cloud, there’s even no problem if it’s raining outside it will make the sky even more beautifull and at the night you can see the starts while dipping on the swimming pool, isn’t that a great experience? 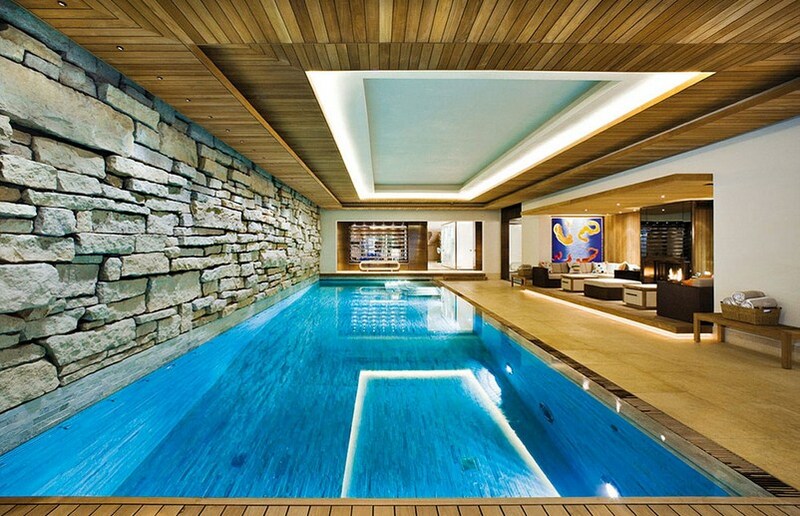 Taking a swim in a pool that has a transparent glass on the wall of it?. This is the right place if you want to relax after doing some work, the pool has some couch to relax and some magazines to read, and you can take a dip if you wanted to in the swimming pool, isn’t it the right place to relax?. 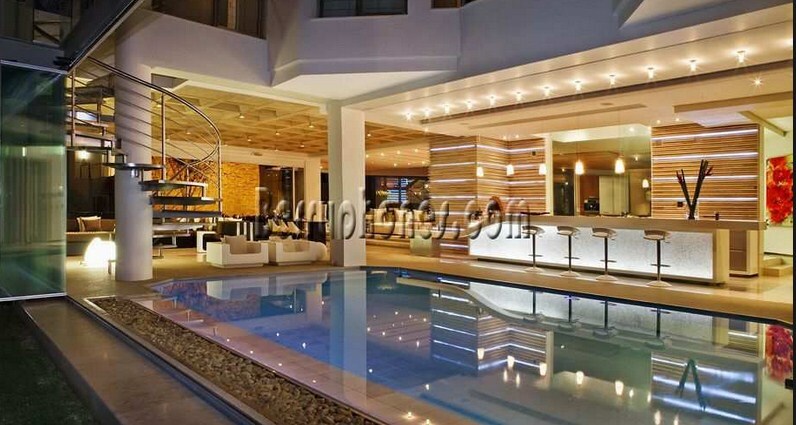 The pool are wide so you can invite people to the indoor swimming pool, there’s some game to play in the wide swimming pool with your friends or maybe your family like playing water voleyball or maybe doing a swimming competition with other peoples , in this swimming pool your relationship with the others will be even tighter. The pool are great if you bring your kids, there’s a few swimming pool with different deepness, so you don’t need to be worry if your kids will drown in the pool, you can relax in the pool while your kids playing in the other pool, of course you will need to guard your kids too in case something bad happened. This pool Provide you with many lights in the pool so you can enjoy the beautifull day while taking a dip in the water or maybe relax on the chair while looking at the sky at the top of the ceilings, you can also look at the view from the transparent glass on the from the side of the pool, what a perfect pool to enjoy the perfect day with beautifull weather. 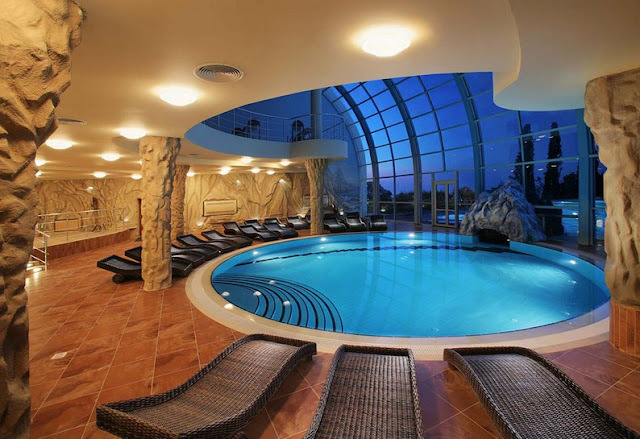 This kind of pool are very luxurious, you can relax here and enjoy the water, this indoor luxurious pool have luxurious pillar, great wall colors,great ceilings, a couch and even a Tv that makes this place the perfect place to relax all you want with those luxurious air. This swimming pool has a lagoon styled design, how cool is that? They have some tree that make those lagoon atmosphere they even have some sand as their floor that makes the pool looks cozy, such a perfect place to relax while swimming around the tropical lagoon swimming pool. Are you a nature lover? Why don’t you try one of these indoor swimming pool where there’s some natural design on it? This pool has some plants that make it look even more natural, you can enjoy the pool while breath the air from those plants you can also sit around reading some books while relax to the scent. A place to relax and the place to have fun, isn’t that great? You can relaxing around in the pool or you can take a ride with your friends,family member or other in these slides, you will surely enjoy the slides and you will be wanting more, your kids will like it too because it will be so much fun for them.